Trade secrets have become an increasingly important corporate asset that brings value to companies as part of their overall intellectual property (IP) strategy and portfolio. Foresight Valuation Group is an IP valuation, strategy and litigation consulting firm that specializes in assisting our clients in extracting value from their innovations, and understanding the value created by the various types of IP rights (patents, copyrights, trademarks and trade secrets). Recently, Foresight has experienced an increase in the number of clients (corporations, startups and litigation clients) looking to value their trade secrets, especially in situations where trade secret misappropriation has occurred which triggers subsequent litigation. 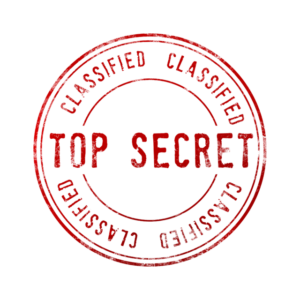 This is the first blog in a series on trade secrets, where we will focus on a number of cases that shed light on the methodologies involved in calculating trade secret damages and use the outcomes of those decisions to provide best practices that should be utilized in calculating trade secret misappropriation damages and to highlight, when appropriate, steps that should be taken by the trade secret owner to be in the best position to extract the most value from their trade secrets. In this first blog in the series, we review the DSC Communications v. Next Level Communications case where the entire purchase price of the misappropriating company was utilized in the determination of trade secret damages. DSC Communications Corporation (DSC) was the Plaintiff suing two former employees, Thomas Eames and Peter Keeler, and the company that they founded, Next Level Communications (Next Level). Eames and Keeler began working at DSC in 1990 and signed a number of employment documents (including employee, patent, copyright, and proprietary information agreement) when hired, that prohibited them from disclosing proprietary information received or developed during their employment. In 1994, Eames and Keeler formed Next Level and then resigned from DSC. Next Level immediately began development of a product that would compete directly with DSC. A lawsuit was filed in 1995 alleging that Eames and Keeler misappropriated DSC’s trade secrets in the formation of Next Level and the development of its competition product. Actual damages typically focus on the lost sales and/or increased costs resulting in lost profits following the misappropriation of a company’s trade secrets. Actual damages can also be measured by establishing the value of the trade secret prior to misappropriation and the resulting decrease in value to the company following misappropriation. An alternative measure of actual damages includes the cost to develop and maintain the trade secret. Unjust enrichment is focused on calculating the economic benefit that the misappropriating party realizes through the unauthorized use of the trade secret and awarding that benefit to the trade secret owner. This economic benefit is typically described as the profits derived by the misappropriating party through the use of the trade secret, but can also include other benefits such as the costs and time saved by the misappropriating party that would have otherwise been required had they developed the trade secrets independently as opposed to obtaining the trade secret through theft. In situations where neither actual loss nor unjust enrichment are provable, reasonable royalties may be awarded by the court. Each of these damages theories cover a variety of methodologies that can be used to calculate the appropriate damages, and this blog series will touch of various cases that provide examples of different methodologies used. With that said, it is important to note that courts have recognized that the various forms of damages in misappropriation cases necessitated what the courts consider a “flexible approach” (Bohnsack, 668 F.3d at 280) to calculating damages for claims of misappropriation of trade secrets. The flexible approach described in Bohnsack and other cases took an especially important role in this case because Next Level was acquired by General Instrument Corporation (GI) a few months after DSC initiated the lawsuit. The acquisition of Next Level took the form of $91 million plus stock options and indemnification from future lawsuits, including the litigation with DSC. Importantly, because of the short time between the formation of Next Level and its acquisition by GI, Next Level had not produced a product ready for sale by the time it was acquired. In fact, DSC had itself not yet produced a product that was ready for sale at the time of the lawsuit. This case provides a manifestation of the flexible approach to the calculation of trade secret damages, where the courts allow “the least speculative” method for damages calculations. This type of flexibility can be applied by damages experts retained on cases where unique circumstances require the expert to use the best approach to calculating damages based on the data available. The court is prioritizing the method based on the most robust set of data, and endorses the methodology based on the underlying data. It is important to remember that the flexible approach paradigm dictates that the expert must always base his or her opinion on sufficient data and facts that produce an opinion that is the product of reliable principles and methods that were applied to the facts of the case. The flexible approach does not enable the expert to avoid these requirements simply because the courts recognize the need for flexibility in trade secret cases. As we will discuss later in this series, the Waymo v. Uber case is an example where Plaintiff’s damages expert’s opinion was excluded from consideration due to failure to adhere to the principles described above, resulting in the Judge determining that the expert’s opinion and testimony was “more prejudicial than probative” and granted Uber’s motion to exclude it from the case.